As ResetEra is launching, here's a first draft of the PSVR OT. I'll be refining it and adding content as soon as possible. For an invite quote the reserved post underneath the OT. A discord link invite should show up. Do I need a PS4 Pro for VR to work? No. But most games look better on it. But they should run just as fine on the regular PS4. Should I get the aim controller? If you can afford it and find one, absolutely. I'm new to VR. What games should I start with? It depends on your taste. But don't jump into Resident Evil 7, Farpoint or one of the driving games right away. Start with smaller, less intense experiences and build your VR legs. Once you get used to VR, you can start looking at more intense games. Static experiences that are part of PSVR Worlds, Statik, any of the gallery shooters like Pixel Gear and even Batman: Arkham VR are good first experiences. If you don't mind horror and like roller coaster, you could try Until Dawn: Rush of Blood, especially since it's free with PS+ in November. I'm having trouble with tracking, help! 1- Avoid having any reflective material in the room, or at least visible by the camera. 2- Avoid having any light sources, the darker the room, the better it is. Also this might help with with light bleeding. 3- Leave your PSVR on a FLAT surface when it is booting up for at least 30 seconds to a minute. This is the most important part, this solves wobbling and drift. Drift/Wobble again? Take it off and flat surface again for 30 secs. Do not turn off your PSVR and on again everytime you're facing problem, it will just reset the calibration, so just take it off and leave it on a flat surface. 5- If you have any tracking issue, calibrate it. Make sure your PS4 is not booted from rest mode. Do a restart/turn off and turn on. This is VERY important too. 6- For standing experience, you probably want to adjust the camera for a wider field of view. For sitting, try to sit as close as possible and adjust the camera to a lower place, seated head level. Camera should be set up left lens as the center point, this is very important, focus ONLY on the left lens. Try to be as center as possible from the camera point of view. Standing experience try to have at least head level camera and better if it's higher, pointing down. Stand at least 4.5-5 feet away from camera. PS4 should boot up from powered off/restart, DO NOT start your VR session from a PS4 rest mode. Leave your PSVR on a FLAT surface when it is booting up. I'm looking for a new game. Which one should I get? Check this thread! We ran a survey and this is Era's favorites! Oops, ask it in the thread and I’m sure someone will be happy to help. Been playing more of Superhot VR lately. Game is so awesome!! Yeah SuperHot is probably my favorite VR experience. Still have Raw Data and a few others in my backlog. Need to start Raw Data myself, been hooked to GT:Sport. Glad to see you here!!! Currently playing some I Expect You To Die. I still need to grab Raw Data & Superhot VR. We made it! Gonna take a while to get used to the new forum, but I like it so far. so many vr games that i needed to grab. megaton rainfall is probably the next on the list..
Hi all, made it in. Love the look of the site, they did an awesome job getting this up and running so fast. I totally think it's worth it for the price. The sense of scale is pretty awesome, even if there are some oddities. Very short but extremely sweet! Mmmm that new forum smell. Job Simulator added fidget spinners! Aaand we're back. Thanks for putting in the work, we appreciate it! I'm going to use this in the OT. Any source? Megaton Rainfall is pretty awesome. I pretty much spent a whole evening flying through the universe in VR with headphones on. Quite an eerie, chilling experience actually. Just google image search to be honest. The more gifs the merrier! Updated the OT. Cleaned up the youtube links to be on the game titles. Gran Turismo Sport in VR is so good. Using the Vision F1-looking cars in the Tokyo track at night going at over 300MPH felt so much fun. I got 3 PSVR games this month (GTS, REVII, and Summer Lessons Chisato), and they’re all incredibly well done. My cousin got one of these today but he's struggling with headaches from it which he didn't when trying one before. I suspect it's due to him playing RE7 which isn't teleport movement. Suggestions for stuff he may find a bit more comfortable? I know he likes GT and being a cockpit game I was gonna recommend that but any other suggestions would be greatly appreciated. Stationary games are a better option to start with. I'll add this as a question in the FAQ and add some actual game suggestions for that purpose. Too tired for this tonight. Hopefully I can get on here from work. I'll be sure to check back in here then sometime! Yeah I figured he may have picked a bit of a bad starting point. Not sure what he played before but I get the feeling it had teleport movement. The REVII demo back December or Jan gave me headaches like 5 minutes into playing. The full game however have yet to give cause any problems even after long sessions. Maybe my eyes just got used to playing in VR between those ~9 months. This is what I'm suspecting. He's dived into the deep end and hasnt really got anything a bit tamer to try out in the mean time. Hopefully down the line he'll get used to it as RE is his favourite series and I've heard a lot of good stuff from people who seemed more acclimatized. I really need to use my PSVR more. I still have a ton of games I bought that I didn't try yet. We all Lawnmower Mans now. Here's some catching up news for the past several days! Discovery (Minecraft Rip off) trophy went live! I Expect You To Die DLC released! It's fantastic! Run Dororthy Run looking pretty solid, endless mode, stage mode etc. Rec Room closed beta opened cross play, all games! Thanks Bombermouse, Fastest Finger and others for these news in discord! 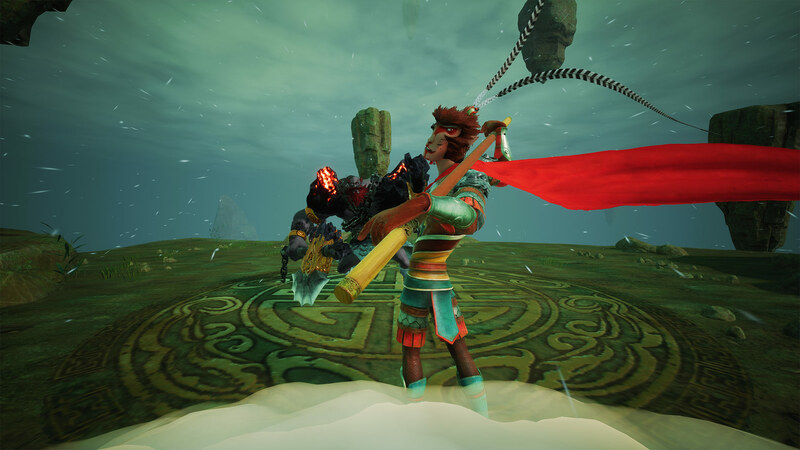 Monkey King VR demo, not the movie one in US store available now in China! Will try it and get back to you guys. That's in game screen shot? Look really good. doubt so. Most likely just the standard game promo screenshot. Will try it later. 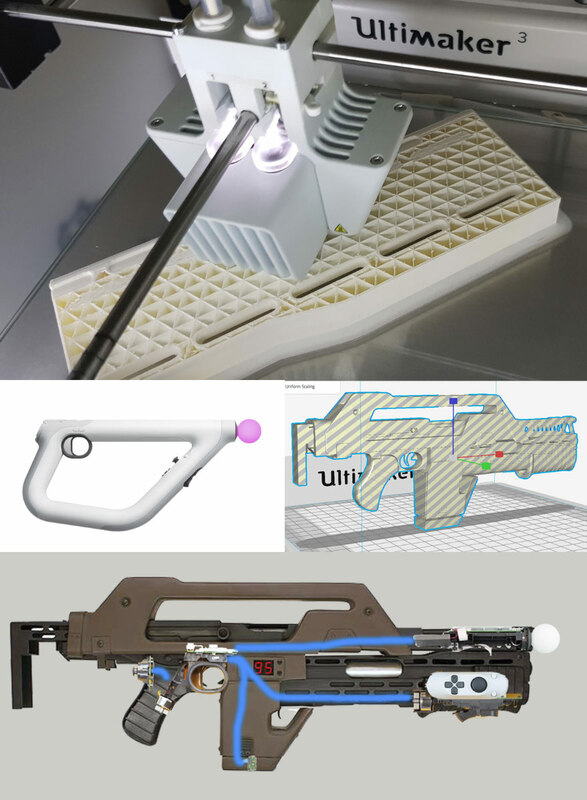 To continue my project progress here, i'm 3D printing the Aliens pulserifle and fitting the insides of the Aim Controller into it. My first task is to make sure the measurements add up, using the triggerguard as the measuring stick basically. The biggest hurdle is the front grip. The pulserifle does not have a vertical grip. Aligning it sideways like in my concept image is going to be...painful to use. That is so awesome, big fan of Aliens. Looking forward to updates on how this goes. Gamefly has changed release date of The Inpatient to January, the 23rd, 2018. If true, I'm not even mad. They should give it all the polish it needs. 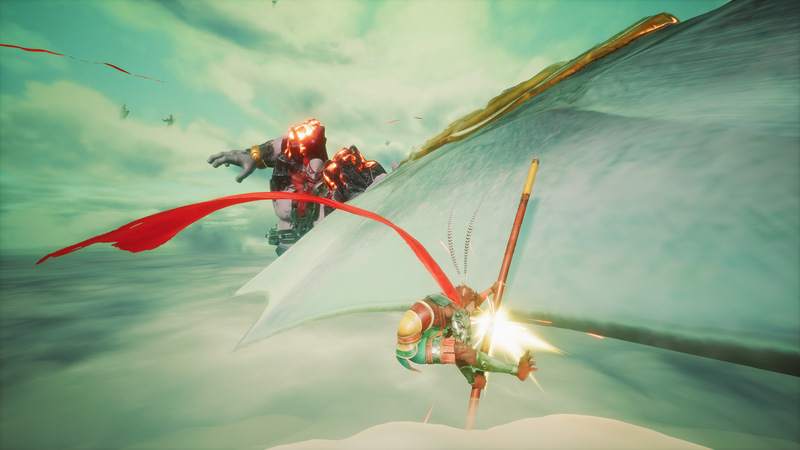 The demo build that was shown on Gamescom was a bit rough and full of graphical bugs, but that could have been very old. 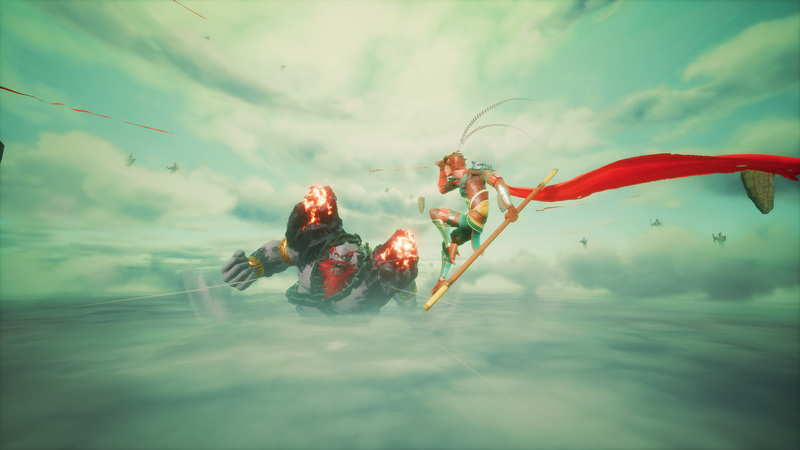 Ok, just tried Monkey King demo. I wouldn't call it demo, just a 2 minutes clip. But the video is surprisingly good.